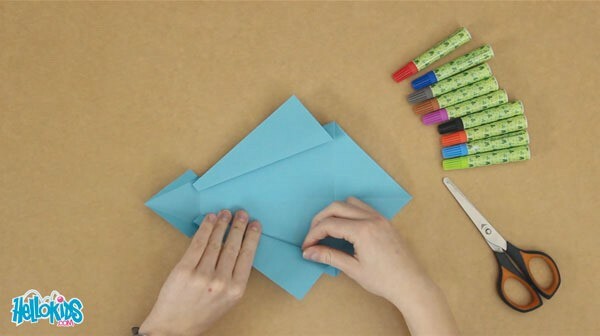 Fold your square sheet of paper diagonally. Join the edges on each side of the diagonal along it. 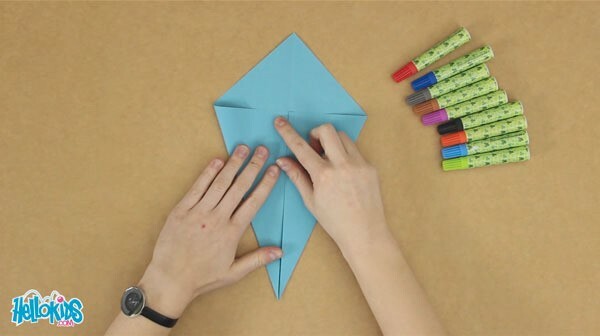 Fold the last point to the middle of the shape. Fold the other point to the point you just folded. Unfold this last point, and you have now a nice mark to cut along. 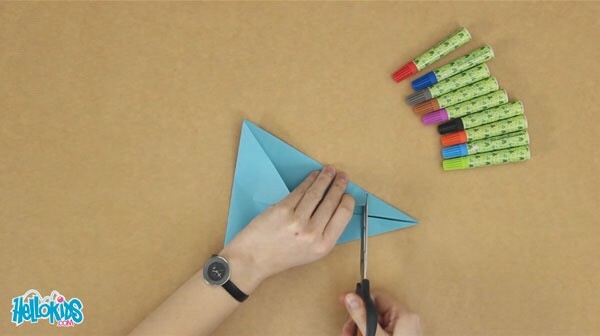 Unfold the big point and the two parts that you just cut. 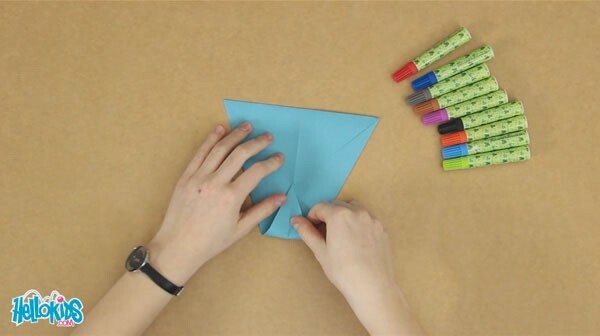 Now, you have two edges still folded. 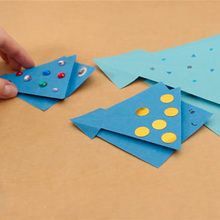 Fold them to the outside creating new folds. 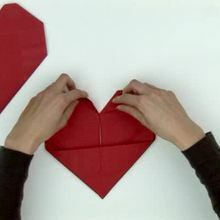 Do the same for the big corner, unfold it to the outside creating a new fold. 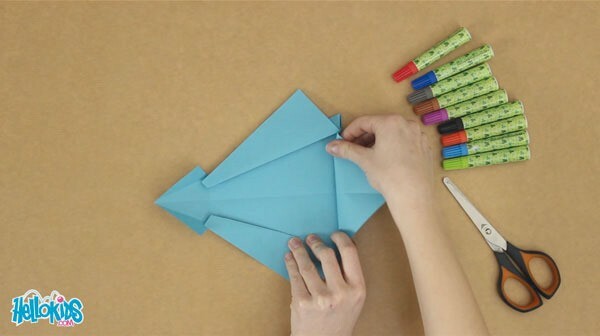 You can stick all these folds but be careful not to use too much glue so that it doesn't go through the paper. 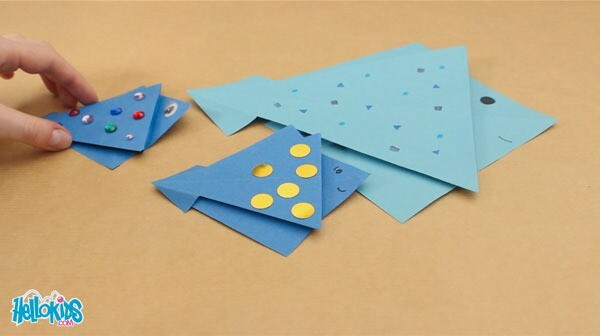 Turn over the origami and there is your fish! It's time for you to decorate it as you wish! 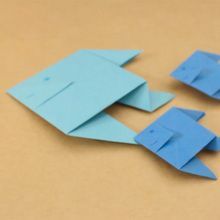 You can use this nice origami for April Fool's day. Use a piece of sellotape to stick it on the back of your classmates!